When we think of bass amps, we typically think of two configurations. The 15-inch speaker or the multi-speaker setup featuring 4 or 8 ten inch speakers. While both speakers have delivered thunderous bass over the years, I want to talk today about an often forgotten bass speaker – the twelve inch. So why am I on this tear about 12-inch bass speakers today? 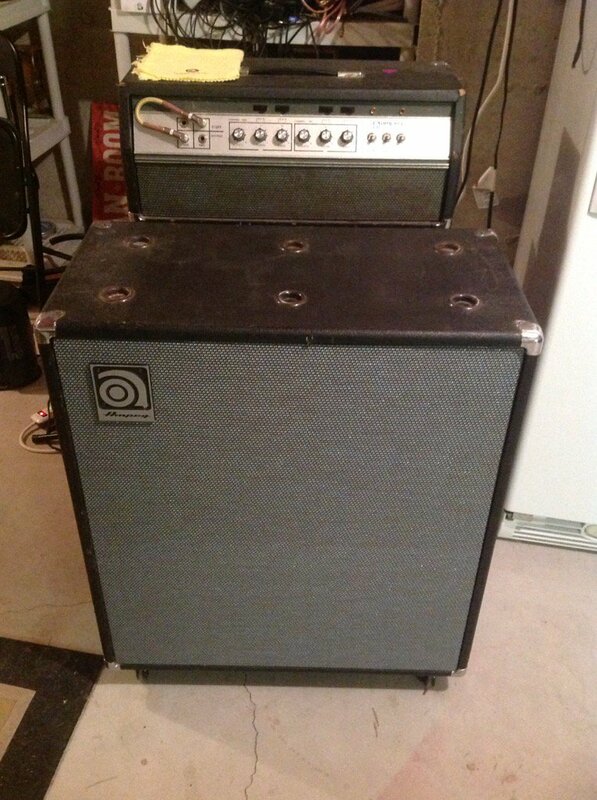 My bass player Mike plays a vintage 70’s Ampeg head through a more modern 4×10 cab loaded with a horn. We had an old Ampeg V4 guitar cab we were wondering if we could restore it and set it up for bass. We were looking to get that classic Ampeg vibe. You can read about the restoration in this other post. We know the existing guitar speakers would have to come out, and I am glad we did. I have had this cab since 1984 and never opened it up. It always sounded great I had no reason to. 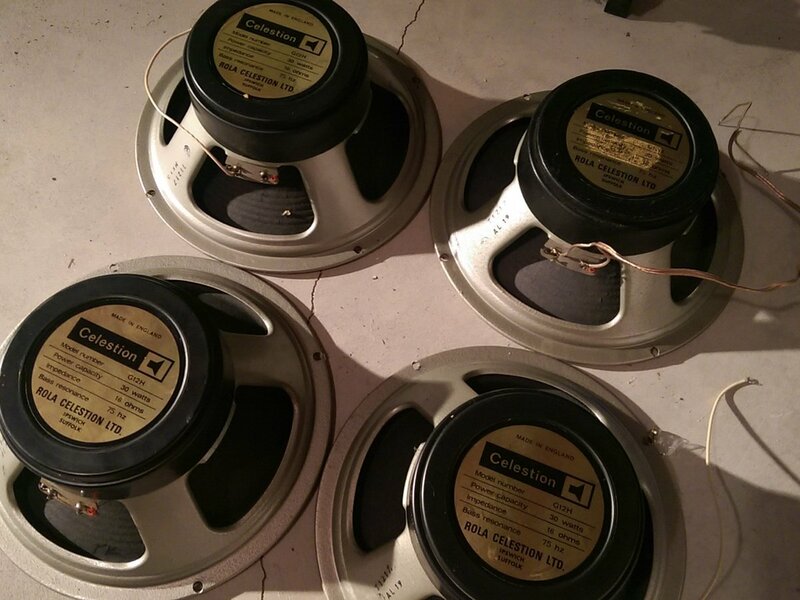 Upon opening the cab, we found vintage late 60’s/early 70’s Celestion G12H speakers. Talk about striking gold! The G12H is one of the most sought after guitar speakers on the planet. A tour of the web leads me to one complete set of these speakers. The seller wanted $800 for the set, and one of the speakers was blown! Finding out the value of these G12H speakers confirmed what I like best about Celestion speakers. Celestion Speakers hold their value, and if treated right they will sound fantastic for years. We gently removed the vintage G12Hs from the cab like an archeologist finding a piece of pottery on an ancient dig. Which brought us to our next dilemma. What would we put in the cab for Mike to play bass through. 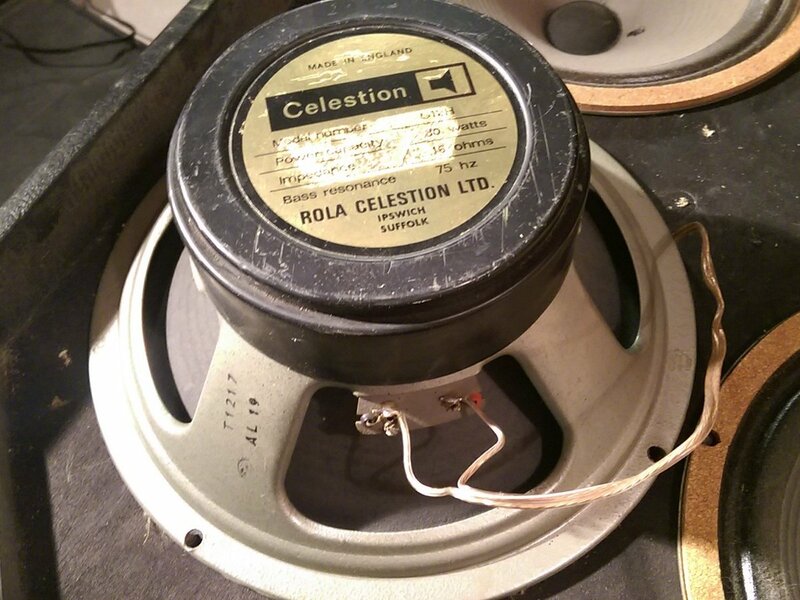 A quick scour of the web brought us right back to Celestion. And why not? 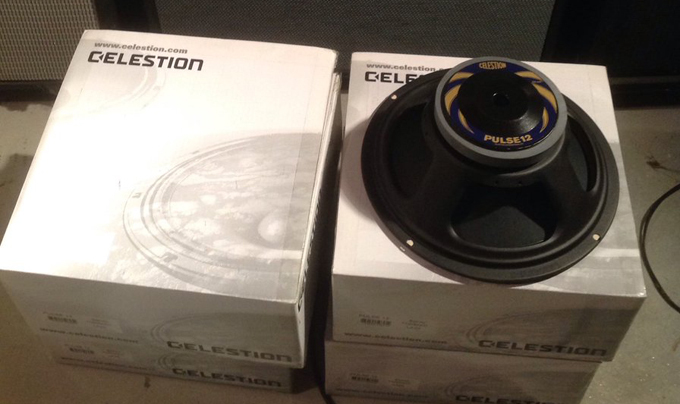 After looking at a few options, we settled on the Celestion Pulse 12 inch speaker. There were a few features that drew us to this speaker. The Celestion Pulse 12 inch bass speaker is a 200 watt beast with a kevlar loaded paper cone. The description of the speaker by the manufacturer spoke of clarity, articulation, and a solid low end. We wired the 4×12 to give us 8 ohms and plugged Mike in. 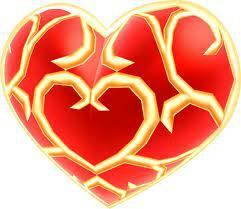 A smile was instantly pasted on everyone in the room’s faces. The 12’s delivered a thunderous, clear bottom to the bass. 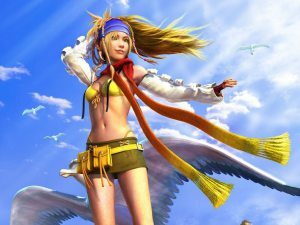 Keep in mind Mike tunes to Db. The drop tuned notes sounded clear and as Mike put it much “richer and warmer” than the 10’s. The 12’s seem to hit that sweet spot of the quick percussive attack of the 10’s with the “fullness and warmth” of the 15s. Where we were most surprised was with the clarity and cut of the mids and highs without having a horn in the cabinet. In a few of our songs Mike channels Lemmy or Geezer and adds a bit of distortion to his tone. The distorted bass tone gives some fantastic mid and high-end overtones that seemed to sing when coming out of the Celestion Pulse 12 bass inch speaker. This speaker is a no brainer for bass players looking to develop their voice or tone. The lows are rumbling while retaining snappy highs and percussive mids. 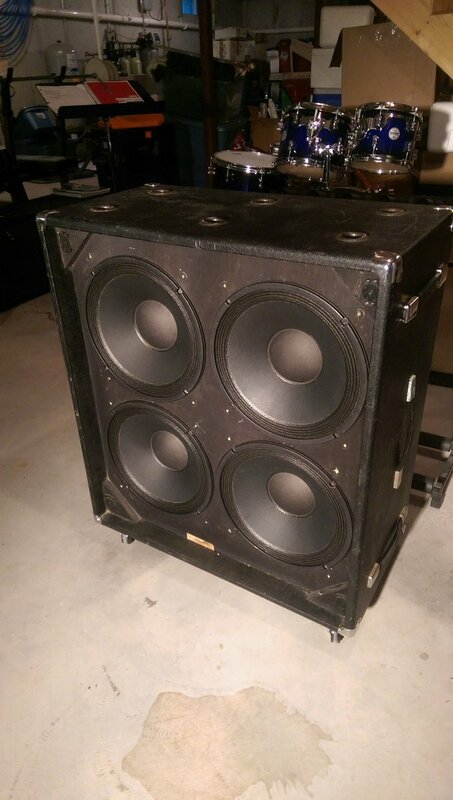 I would suggest looking for a 2×12 or 2×12 empty cab on the used market and giving these great speakers a try. You can find out more about the Celestion Pulse 12 inch speaker on Celestion’s website, YouTube page, Twitter orFacebook.